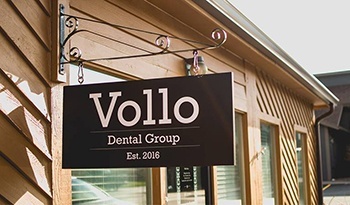 Welcome to Vollo Dental Group! We are located in Rochester less than ten miles from the heart of Hilton, NY. Most patients can reach our family dental office in under 15 minutes. 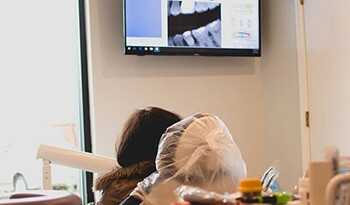 We offer a variety of preventive, restorative, and cosmetic dentistry services as well as more advanced dental treatment options to keep families in Hilton, Rochester, and surrounding communities smiling. If you’re interested in learning more, please don’t hesitate to call our dentist and team to schedule an appointment. We look forward to helping you achieve and maintain healthy, flawless smiles. We have two skilled dentists on our team – Dr. Joseph and Dr. Katherine Vollo. This husband-wife dentist team make it possible for our office to accommodate the dentistry needs of every member of your family all under one roof. 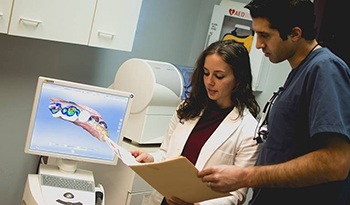 Both dentists offer comprehensive general dentistry services, and each dentist has completed advanced training in areas of specific interest. Most importantly, both Dr. Joseph and Dr. Katherine Vollo are committed to making dental care safe, comfortable, and stress free for every patient. Many people worry that the costs of their necessary dental treatments will exceed their budgets. At Vollo Dental Group, we do our utmost to keep the price of dentistry services affordable and well within the average for our area. Additionally, we are happy to process and file dental insurance claims from most insurers, and we are in-network providers with Excellus and United Concordia. Want to spread the cost of treatment out over several months? We are happy to offer low or no interest financing options through CareCredit. If you have questions about your insurance benefits or financing options, don’t hesitate to reach out to our team. We’re happy to help. If you’re heading to Vollo Dental Group of Hilton, NY, you should plan for about a 15-minute drive. Start out heading east on State Highway 191/West Avenue towards Lake Avenue. Continue to follow State Highway 191 as it becomes Main Street and then East Avenue. Follow signs for State Highway 193/Wilder Avenue. Continue onto Frisbee Hill Road, and follow it until you reach North Greece Road. Turn right onto North Greece Road. Then, take the immediate left to continue on Frisbee Hill Road. Turn right onto Flynn Road. In about a mile, turn left onto Kuhn Road. Then, continue for about a mile before turning right onto Long Pond Road. Turn left onto Cedarfield Commons, and our office is located on the left.